Michelle Herrmann was born, raised and educated in Grafton. After completing her HSC at Grafton High School in 1994, Michelle studied at the University of New England in Armidale for two years before transferring to the University of Queensland in Brisbane and graduating with both a Bachelor of Arts (majoring in Criminology and Criminal Justice) and a Bachelor of Laws with Honours. 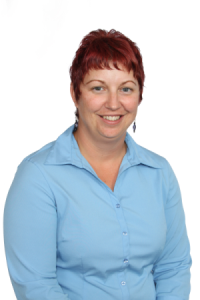 Michelle completed the Barristers Practice Course and was admitted as a Barrister in Queensland in 2001. Michelle pursued a career in the Queensland Public Service between 2000 and 2011 working for the Office of the Director of Public Prosecutions, Commission for Children and Young People, Department of Child Safety and Department of Communities in various legal roles. Michelle’s experience includes criminal law, employment screening, child protection, child care regulation and youth justice. In 2011, Michelle returned to northern NSW and took up a Program Administrator role with the Department of Attorney-General and Justice. This involved setting up and administering the Forum Sentencing Program in the Local Courts in Coffs Harbour, Grafton, Maclean, Bellingen and Macksville. Michelle commenced working at MJO Legal as an employed solicitor in May 2012. Michelle’s duties include; representing clients in Local, District and Supreme Court criminal proceedings, drafting wills and estate administration, and debt recovery proceedings. Michelle is also part of the duty lawyer roster at Grafton Local Court. Michelle has been riding horses since she could sit up and be strapped to a horse and competed for many years as a child and adult in her chosen discipline of western performance with success at State and National level. Although, Michelle much prefers a leisurely trail ride these days, her penchant for unusually coloured horses ensures she always stands out in the crowd.